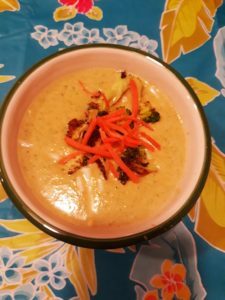 Enjoy this wonderful cream of broccoli soup! It's thick, delicious, hearty, and easy to make. Serve alone or with broccoli "croutons."